Padres @ Dodgers April 30, 2016: Maybe win a game? Anyone who reads this blog is aware that the Dodgers are coming into tonight’s game having dropped five straight at home. Chad’s post from earlier today may address some of your concerns about the team, though I’m not sure it will assuage them. Now, let’s get to what’s happening tonight. Ross Stripling is back on the mound for the Dodgers, making his fifth start of the season. In his first four starts, Stripling pitched a total of 22 1/3 innings, and recorded an ERA of 3.22 (3.57 FIP). He’s been doing a good job getting ground balls (a GB% of 47.7%), but his strikeout and walk rates (17% and 10.6%, respectively) both have a lot of room for improvement. Colin Rea gets the ball for the Padres. Rea allowed a run in one inning of relief against the Dodgers on Opening Day, when Los Angeles walloped San Diego 15-0. 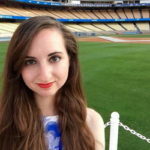 (Looking at the Dodgers of the past week, it’s hard to believe this team is capable of scoring five runs, much less 15.) He has since made four starts, in which he has an ERA of 4.87 (4.26 FIP). The right-handed Rea will face a lineup that is very similar to yesterday’s, except that Enrique Hernandez is in right field in place of Yasiel Puig (who has been given the day off), and Yasmani Grandal is batting a slot higher. Brandon McCarthy and Hyun-Jin Ryu threw bullpen sessions today. Kenta Maeda will start on Friday in Toronto. Dodgers wanted him to face RHP gauntlet, rather than Alex Wood. With two days off this week (Monday and Thursday), the Dodgers had some liberty to shuffle their rotation a bit. Alex Wood will pitch Wednesday against the Rays.